Collaborations between well established ambient artists are usually the source of amazing new music, novel creative directions, and most importantly, good fun. 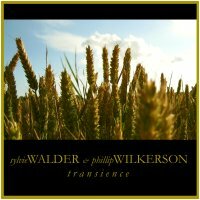 This new album entitled Transience, a refreshing collaboration between Phillip Wilkerson and Sylvie Walder, accomplishes all of that, and then some. Combining Wilkerson's refined ambient aesthetic with Walder's beautiful and evocative field recordings, we feel this album is nothing short of revelatory. Very nice sciency & atmospheric ambient, quite minimalistic with interesting sounds going on, making it an enjoyable listening experience.